Step 1. Get yourself a unique image which you want as your favicon, but that image should be of 16x16 pixel size. Step 3. To create your own favicon you can use photoshop or other image editting tool. But I know it is really painfull to create a icon in photoshop but I've got a solution for you. Read this tutorial on how you can create your own favicon. So for those who already have an image, we have to resize it to 16x16 as i said before. Step 4. Now once you have downloaded your favicon, you have to upload it on any image hosting website. Step 5. Now copy the link to the favicon and go Layout->Edit HTML on your blog. all you have to do is insert the following piece of code just before <head> tag of your blog's template. Step 6. Change the code "http://YOUR_IMAGE_ADDRESS_HERE.gif" to your favicon's link. Step 7. Save your template and There you have it ! Your own favicon. The fun part is you can change it when you have a cool new one in your mind, just upload it and change the url in your template, Simple ! I have created a utility which will stop cut, copy, paste and delete functionality in your system. Once you have started this program you are not able to use cut, copy, paste and delete in your computer. You have faced situation when someone maybe your friend or any anonymous user copies your data which you don't want to share with him. And just imagine the worst if they delete your important data then, this is really a serious problem. So do you want to restrict cut, copy, paste and delete functionality on your system so that this data theft or losss can be cured than just download this utility and run it. Now whenever someone try to cut, copy or delete a file/folder, nothing will happen. No keyboard shortcut will work. So your data would be safe. How to start it automatically? If you want Windows to automatically start the application at each startup, then create its shortcut and paste in "Startup" folder in Programs menu. NOTE:You must unhide the system files first. 1. HAve an updated antivirus program i recommend Quick Heal plus 2008 because it actually repairs the file in 90% cases. "school girl.avi.vbs", "hot.jpeg.bat" etc always look at the last extension. Now u r safe to open your drive. disable it, because it also harms ur computer. Yes, it is possible to craete invisible drives that remain there only but nobody can see it. Now look for an empty space in the change icon dialog box and click on it and then click ok. Now you are done you will have an invivsible folder. How to change drive icons. How to remove drive letters. which is the path of blank icon. Now Logoff/Logon your system to see the changes. 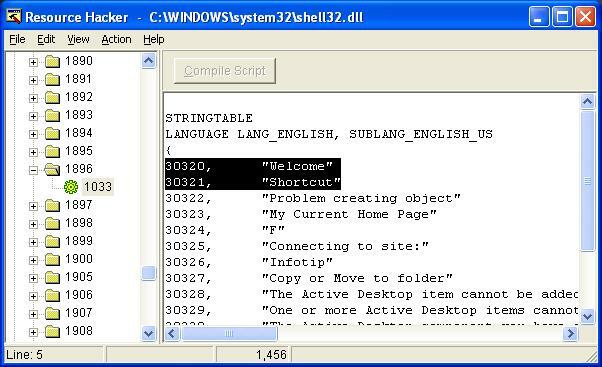 strText = "your message here"
This script ends by itself. where it says "your message here" type what you want it to say. READ MORE - VBscript fun! Type shutdown –s into command prompt and that will give a message that the computer will shutdown in 30 seconds. U can abort the shutdown by just typing shutdown -a & it will abort the shutdown. have you ever used it.The –m switch will let you shut down computers on the network and all you need is the ip address or the computer name. Once you get the ip address or the computer name just type shutdown –s –m \”ip address/computer name” in to cmd prompt you can use any switch with this command. By using this registry tweak you will be able to hide your account from the Logon Screen and from Control panel users accounts. This tweak works on Windows NT / 2000 and XP, I've not tried it on VISTA. There are many search features in GOOGLE but i have included important ones that are used in day to day life. Time: To see time at different places type in "time" and the name of the city. Calculator: To do maths complicated problem just type any mathematical expression followed by a "="
Unit Conversion: You can use Google to convert between many different units of measurement of height, weight, and mass among others. Just enter your desired conversion into the search box and we’ll do the rest. Dictionary Definitions: o see a definition for a word or phrase, simply type the word "define" then a space, then the word(s) you want defined. To see a list of different definitions from various online sources, you can type "define:" followed by a word or phrase. Note that the results will define the entire phrase. Plus (+) Operator: Google ignores common words and characters such as where, the, how, and other digits and letters that slow down your search without improving the results. If a common word is essential to getting the results you want, you can make sure we pay attention to it by putting a "+" sign in front of it. Info: Info provides information about a given web page. To search for a phrase, supply the phrase surrounded by double quotes (" "). An asterisk (*) represents any word—not the completion of a word, as is traditionally used. The site: operator instructs Google to restrict a search to a specific web site or domain. The web site to search must be supplied after the colon. The link: operator instructs Google to search within hyperlinks for a search term. The cache: operator displays the version of a web page as it appeared when Google crawled the site. The URL of the site must be supplied after the colon. The intitle: operator instructs Google to search for a term within the title of a document. The following will result in having index of in the title and fort minor mp3 in the content. The allintitle: This modifier when used will limit all your search queries to within the title. Take a Windows bootable CD and insert it into your CD-ROM. Boot your computer with the Windows CD as if you were doing the Windows installation. When the CD starts working, you will be prompted to “Press any key to boot from CD”. Press “R” to start repair of the windows. The Setup will start copying the files from CD to your PC hard drive. Wait for few minutes; the computer will then reboot itself automatically. The GUI (Graphical User Interface) screen of Windows Setup will be shown on the screen. You will need to go to the command prompt. If you are using Windows 2000, wait until the setup comes to the place where it says, “Registering Components.” There you are going to pres the “Shift+ F10” key. If you are using Windows XP, wait until you see a progress bar in the left where it says, “Installing devices.” There you are going to press the “Shift + F10” key. If using Windows 2000, type “control.exe” in command prompt without quotes. If using Windows XP, type “nusrmgr.cpl” in command prompt without quotes. Now that you have access to the control panel, you can reset or set a new password using the control panel administration/password utilities. When you are complete, close the command prompt and wait until the repair is completed. Restart your computer and login with your new password. System user has got the top privileges in all the users. Whenever you open taskmanager (CTRL+ALT+DEL) you get a long list of processes running on it. As you can see that a lot of processses are running with user name System. Most System processes are required by the operating system, and cannot be closed, even by an Administrator account. Attempting to close them will result in a error message, and even a forceful attempt to close ant System User run process may even let your system to shutdown. So here is the tutorial showing how you can get privilegs of System user (Under normal condition You can not log into system account). C:\> at "time" /interactive "cmd.exe"
Eg : C:\> at 13:11 /interactive "cmd.exe"
This will open a new command prompt at 13:11. When the system clock reaches the time you set, then a new command prompt will run. The difference is that this one is running with system privileges (because it was started by the task scheduler service, which runs under the Local System account). Now go to task manager and end the process titled "explorer.exe"
Now its done, Go to Start and check whether you are logged in as Administrator or System user. FIX: Open the services control panel (Start > Run > services.msc) and disable the Task Scheduler service. This tweak will remove Turn Off button from Start menu as well as from Task manager also. This setting removes the Shut Down option from the Start menu and disables the Shut Down button on the Windows Security dialog box, which appears when you press CTRL+ALT+DEL. 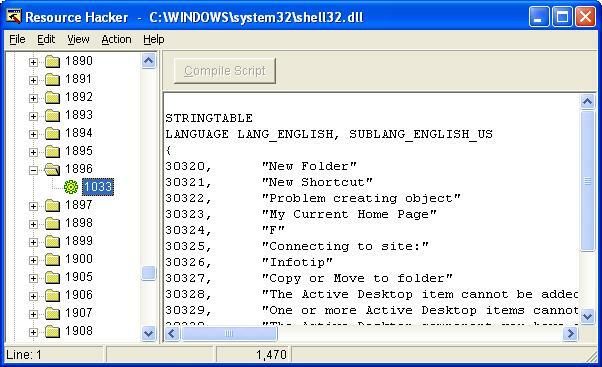 On right pane double click on Remove and Prevents access to the shut down command and enable the setting. Here, create or modify the DWORD called NoClose and set its value to 1. Reset it to 0 to enable shutdown. If you enable this setting, the Log Off item does not appear in the Start menu. This setting also removes the Display Logoff item from Start Menu Options. As a result, users cannot restore the Log Off item to the Start Menu. This setting affects the Start menu only. It does not affect the Log Off item on the Windows Security dialog box that appears when you press Ctrl+Alt+Del, and it does not prevent users from using other methods to log off. Tip: To add or remove the Log Off item on a computer, click Start, click Settings, click Taskbar and Start Menu, click the Start Menu Options tab and, in the Start Menu Settings box, click Display Logoff. NoRecentDocsHistory and set it to 1. Simply change the value of MenuShowDelay to 0. Create a DWORD named NoStratMenuMorePrograms and set its value to 1. Create a DWORD named NoUserNameInStratMenu and set its value to 1. And double click on Remove user name from start menu and Enable it. value to 1 to destroy the system tray. value to 1 to disable right clicking on desktop altogether. Create a new DWORD name it NoDesktop and set its value to 1 to enable it. Want to remove Shared Documents and My Documents folder from My Computer here is the way how you can get rid of it. from My Computer and Enable it. This is an ultimate restriction if you want that no one access you’re hard drives accept you than it is what you are looking for. This tweak will disable access to your drives even their contents are not visible by using dir command or by using search. Here create a new DWORD named NoViewOnDrive and set its value to 4(in dec) if you want to restrict your C drive. FOR EG: To hide drive C and D, you would add 4(for C) and 8(for D) which would be 12 and then set the value of NoViewOnDrive to 12 in order to restrict drives C and D.
To revert back, just delete the following DWORD created. This tweak hides the system properties screen and remove the properties option from my computer. Create a new DWORD value in both locations called NoPropertiesMyComputer. Set its value to 1 to hide the properties option. Yes, it is possible to create invisible drives that remain there only but nobody can see it. The idea of creating this invisible drive struck my mind when I came to knew how to create an invisible folder. So I must first tell you how to create an invisible folder. To create invisible folders first create a folder say "Ritesh". Now right click on the folder and select Rename. Now look for an empty space in the change icon dialog box and click on it and then click ok.
You will have an invisible folder. 1. How to change drive icons. 2. How to remove drive letters. This is the path of blank icon. Now Logoff/Logon your system to see the changes you have made. We all know that images within a folder show up in Thumbnail view of the folder. FOLDER.JPG and you are Done!!! Whenever you create a new folder or a new shortcut the default name of that folder is "New Folder" or a "New shortcut" in case you created a shortcut. In this tutorial i will show that how you can change the name of these two entries permanently, so that whenever you create a new folder you will can see your desired text. 2. Now in the right-side pane, you will see default "New Folder" and "New Shortcut" strings. 3. All you need to do is to replace the default string with your desired string and click Compile script at the end. 8. you need to restart your system to see changes. And set its value to 1(decimal) to hide the Folder Options. Reset it to 0(decimal) to enable Folder Options. Windows sometimes forgets your folder customizations i.e. whether folders are in thumbnail view, list view or in any other view their positions etc. This happens because windows by default can remember settings of 400 (in some cases it is 5000) folders only and as the 400 mark is reached it forgets the older settings. And that’s it your folder will be unlocked. + 0160 and then press Enter. In the change Icon dialog box scroll for a blank space, select it and click Ok. It'll change the attribute to "system". 3. Now save the file with name "Desktop.ini" (including quotes) in "D:\Ritesh" as in our e.g. drop down menu choose icon. Set its size to 31 and press OK.
What happens when you press WIN+E? NOTE: Only for USB PS 2 Mouse and Keyboard. Also, you need to first start your PC manually after then for starting your PC this TWEAK will work. And on the right pane you will find all these information’s. 2. Navigate to User Configuration>Administrative Templates>Windows Components> Windows Explorer. 3. On the right pane double click on option turn off windows + X hot keys and Enable it. Now, whenever you press Ctrl + Alt + Del calculator program will pop up. In my keyboard (Logitech clavier media) I have a app key which opens calculator which I am going to change. You can use this trick to change any key you want; here I am changing the functionality of key 18 which opens calculator on pressing so that it would open task manger. 13. Windows + Q: Hold Windows Key, then tap Q to scroll thru the different users on your pc. And change the value of string named CursorBlinkRate to anything between 1200 (slowest) to 200 (fastest) in milliseconds. On the right pane change the value of String named SwapMouseButtons to 1. So you want to change your drive icons but it is not that easy as in case of folder, you have to edit some registry settings for that. 14. here type the full path of the icon for e.g. Now you are done, in the above given way you can add icon to any drive just add the drive letter as new key as i have done for D drive you can do it for any drive you want. for those who don't want to do above process i have posted the code for registry file below which will change your C,D,E and F drive icon to new folder icon.